Support the Georgia Prison Strikers: Solidarity! In response to the media black out of this situation, which has the sole purpose of keeping inmates across the country in the dark about methods of fighting back, the people must take it upon themselves to pass along the information regarding the GA Prison Strikes to inmates nationally. This information can be sent via Christmas Cards, personal visits to family members incarcerated, or even flyering at the nearest prison on vis…itation days. An action which is unprecedented on several levels, black, brown and white inmates of Georgia’s notorious state prison system are standing together for a historic one day peaceful strike today, during which they are remaining in their cells, refusing work and other assignments and activities. This is a groundbreaking event not only because inmates are standing up for themselves and their own human rights, but because prisoners are setting an example by reaching across racial boundaries which, in prisons, have historically been used to pit oppressed communities against each other. Somewhere in the vast void existing between the academic community and the administration at the University of Minnesota are the silenced or simply drowned out voices of students, staff and faculty whom you will oversee in your new position. Make no mistake about it, your selection was not an election; rather, it was an appointment by a council of people who have no authentic connection with the individuals and institutions over which they reside. Members of the Students for a Democratic Society attended multiple regents meetings as well as your Q & A forum and our voices as students were not represented. Amongst the few students who attended this forum our questions were filtered or all together disregarded by a process of censorship. Since the student voices were silenced in your appointment process, we offer an open address to you and the rest of our educational community. We wish to bring to your attention the issues, which impact the university as seen by those who are the foundation of it. It is because we believe as the president, that our cares must be your concern, that the following points must be addressed. First, as evident in the selection process, the current University of Minnesota system and its administration impair any possibility of transparency. Behind closed doors and with total anonymity decisions and policies are sculpted by a few on behalf of the rest of us. Students who pay tens of thousands of dollars to attend, and be a part of this university are neglected in all of the significant decision making processes at the university. 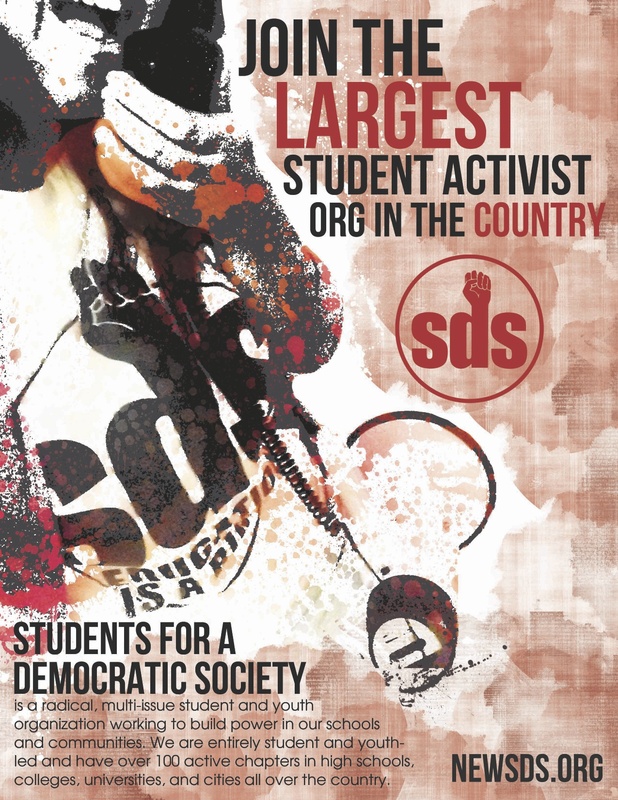 As those whom the university is suppose to serve first and foremost, the diverse voices of the students is hardly offered an opportunity in a democratic decision making process. How will the foundation of the university have its voices better heard from you and your constituents? Second, as tuition costs promise to continue rising, you as the new president accept a salary twice that of your predecessor, while programs are being cut, class sizes are increasing, and valuable support staff and faculty are baring an increased burden of work. If the jobs of those who work most closely with the students every day are lucky enough not to be cut, the demands on their work is increased at the expense of the students of the university. Your salary can only be seen as an insult and further burden on the education system, which is receiving less funding from the government, and increasing the costs for students at the expense of the primary objective of education. How will your salary help support the pillars of the mission statement of the University of Minnesota? How will your salary better serve the students instead of the valuable staff and faculty that offer the students a valuable education every day? Finally, it was made evident by your introduction that you were not familiar with the incredible diversity that the University of Minnesota offers. While you discussed the wide array of cultural diversity represented at your previous employer, Stony Brook University, it was clear that you were unaware of the incredible cultural groups represented here. One of the centers of diversity on the University of Minnesota campus is found in the second floor Cultural Centers of Coffman Student Union. It is here that you will find the strong foundation and growing community representing the vast spectrum of diversity at the University of Minnesota. With this in mind, we wish to invite you take the time to visit this space, and consider further expanding the space available to the growing diversity of student groups on campus. 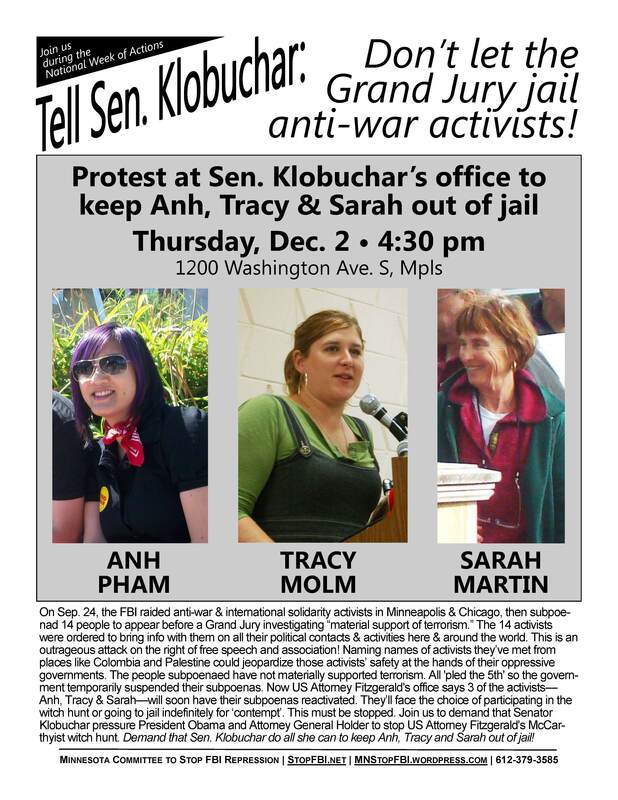 Protest to Keep Anh, Tracy, and Sarah Out of Jail.